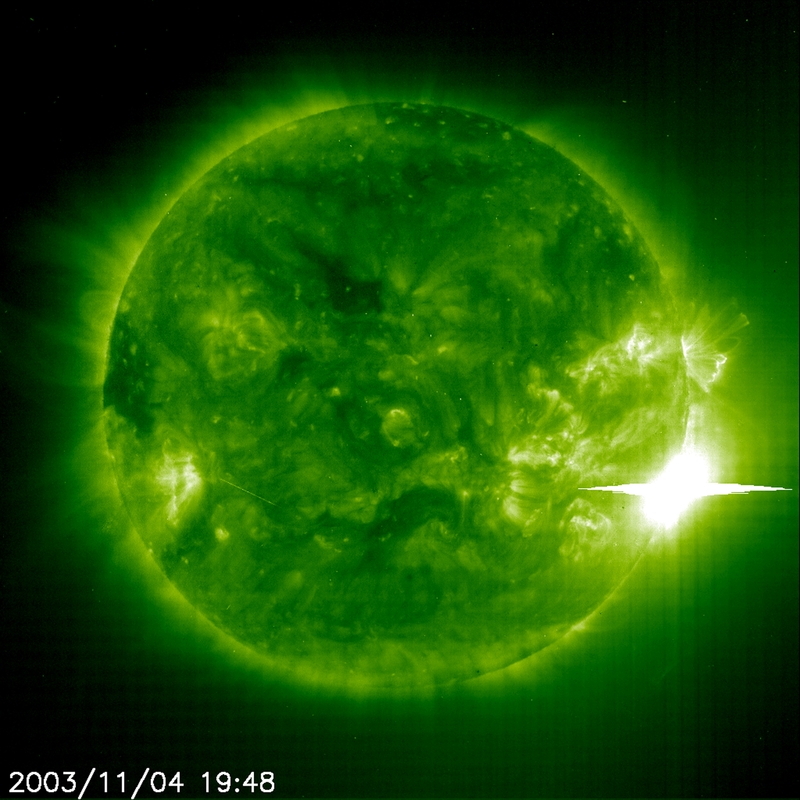 X28 flare in EIT 195 -- The Sun unleashed a powerful flare on 4 November 2003 that could be the most powerful ever witnessed and probably as strong as anything detected since satellites were able to record these events n the mid-1970s. The still and video clip from the Extreme ultraviolet Imager in the 195A emission line captured the event. The two strongest flares on record, in 1989 and 2001, were rated at X20. This one was stronger scientists say. But because it saturated the X-ray detector aboard NOAA's GOES satellite that monitors the Sun, it is not possible to tell exactly how large it was. The consensus by scientists put it somewhere around X28.